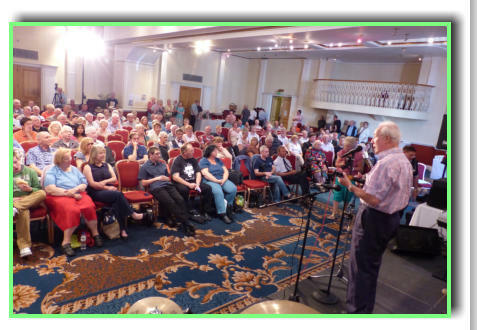 Another bumper crowd attended the first convention in the Society’s 52nd year with standing room only on Saturday afternoon and even the cinema boasted a record attendance in the evening. Some great performances throughout the two day event with the accent being mainly on youth with some smashing young players not only entertaining, but also organising some of the events. 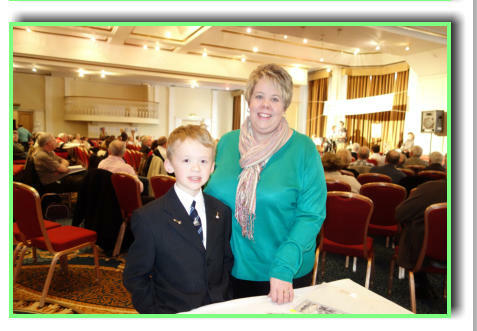 This just has to be the best thing that has happened to the GFS lately, the growth in membership is fantastic but the growth in the young (and very talented) members gives us the promise of a very secure and healthy future. Members again traveled from far and wide to be with us and one member traveled from New York just for the weekend. Another welcome personality that we have not seen for some years was the brilliant Remco Houtman who I think I last met in the late 1990’s. 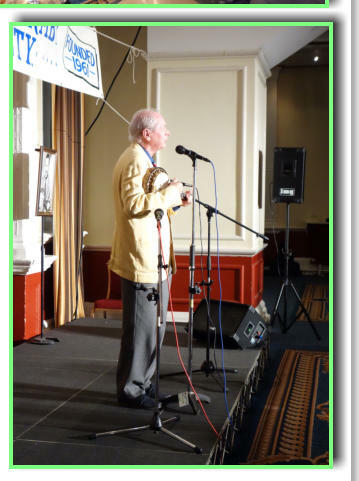 Remco is a wizard with the ukulele and the members loved his performances throughout the weekend. 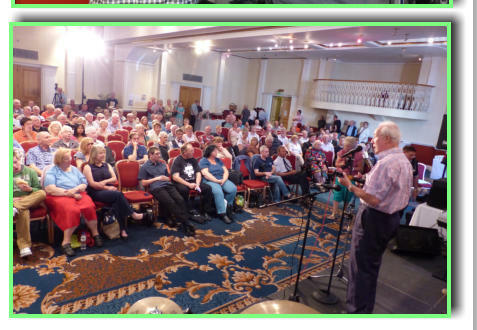 Remco even found the time to give a ukulele workshop and obviously attracted a very large crowd. 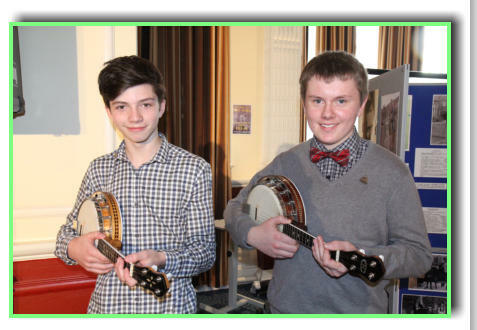 Gill Walley worked hard to capture the weekend on her camera and had a real struggle to shoot the ‘thrash’ photo as there were so many members with instruments that it was impossible to get them all in the viewfinder. Another reflection of the success of the weekend was the fact that Kathryn and Pat were kept very busy in the GFS shop and even though the shop only functions during the day, they managed to achieve excellent figures from the sale of DVDs, CDs, T-Shirts, badges and all the other items that make up the GFS Shop and help to secure the financial future of the Society. As well as Remco, memorable performances came from all over the place – but it is the youth of the GFS that leaves me with a lasting memory of such a wonderful weekend, Lewis Clifton, Tommy Bland, Bradley Clarke, Stuart Lowther and James Bassett all totally made my weekend and who can forget Cameron Aitken who made his debut to great applause on the Blackpool stage. It is impossible to name everyone who performed with distinction but suffice to say that everyone who took to the stage over this weekend, all helped to make the weekend the success that it was. 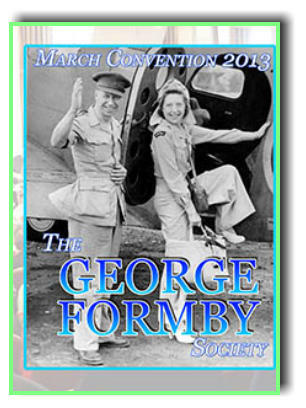 It all looks good for years to come for The George Formby Society. 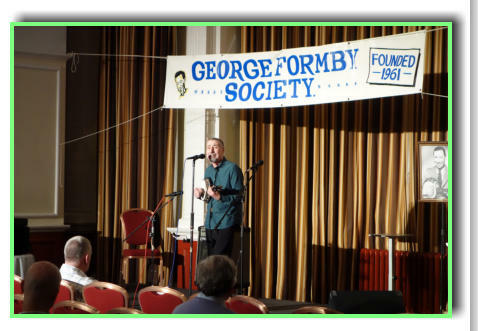 Thanks must go to so many people for making the weekend the success it is, starting right at the top with GFS president Gerry Mawdsley who gives his own show when he conducts Kitty Barrett’s raffle and the now very popular auction on Saturday evening. 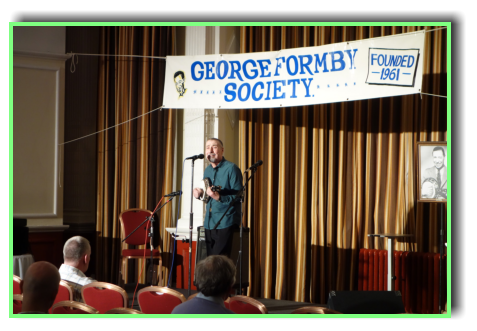 Not only does he raise vital funds for the GFS – but he does it in such an entertaining way, Gerry is an expert ukulele player but is also one of the few people who doesn’t need that lovely instrument to entertain the crowds. 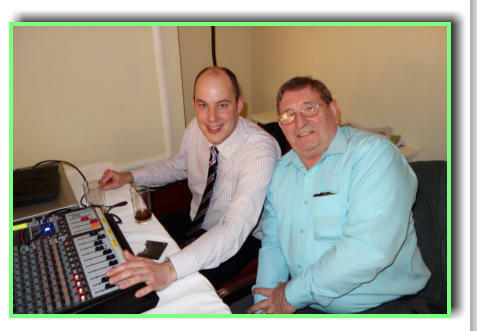 John Walley, Alan Kershaw, Gerry Mawdsley, Dennis Mitchell, John Taylor, Lewis Clifton, Tommy Bland and Bradley and Stuart all took to the stage in the MC role and did a good job. The band must also not be forgotten, they can play anything the members throw at them and personally I wouldn’t dream of using a backing track when the band is available to play. 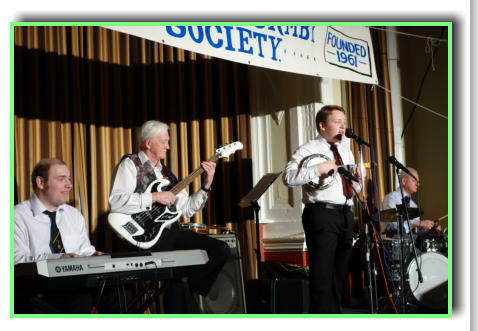 Tony Thornton, Dave Partington, Dale Norman, Geoff Shone and GFS Musical Director Matt Richards are all indispensable to our Formby weekend. I would also like to highlight two people who do vital work without which the weekend would not even start, Alan Chenery sets the sound equipment for the weekend and is in the room long before anybody else and is still in there when all have left for home - and Andrew Gatherer works quietly at home managing the GFS subscription list and balancing the GFS finances throughout the year and is always at the desk on convention weekends to welcome new and old members. 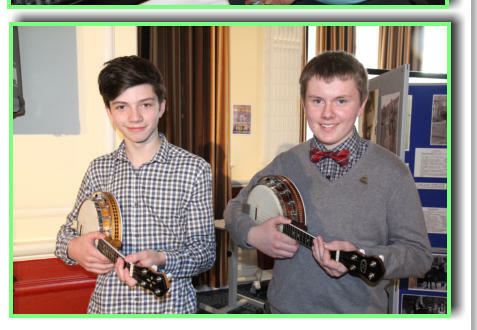 Neither of these lads gets the praise they deserve so it is appropriate that I mention them both here. Paul Kenny, James Bassett, Cameron Aitken and Francesca Davies were summoned to a different part of The Imperial Hotel to entertain members of the RAF, their efforts were rewarded when the RAF guests collected £95.00 for the young players - and then they very kindly donated it to the GFS funds, well done to all! Alyson Yates (lovely wife of top ukulele player Alan) also had a worthwhile weekend when she baked special Red Nose Day cupcakes to sell over the weekend. needless to say Alyson raised in total £189 for her charity and put a smile on the members faces with her creative and very tasty creations. 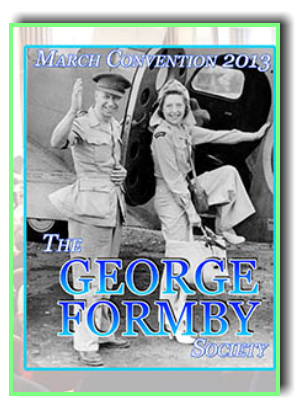 But let us savour once again, the great performances, wonderful friendships and lovely companionship that the George Formby Society generates at this unique Blackpool weekend – in a little over ten weeks we shall be doing it all again!